Must I pay for your Insurance? 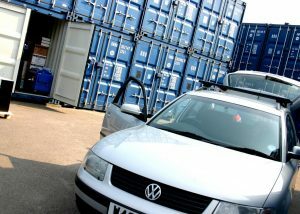 Under the terms of your contract with Thames Self Storage, your goods need to be insured. If self insurance is not possible or practical, we have an insurance policy, the cover for which can be extended to cover your belongings. The policy is similar to household insurance. It covers you for fire, theft, flood, lightning, ingress of water through any deficiency in the storage container, malicious damage and impact by vehicles or aircraft amongst other things. Full details of the policy can be provided on request. The policy, as well as our terms and conditions of storage with Thames Self Storage, will not allow the storage of guns, ammunition or associated articles. It will also exclude the storage of compressed gasses and petrol/anything subject to combustion. Perishable goods are also excluded. Pretty much anything else can be stored and insured. Musical instruments, such as pianos, may need retuning after storage. This is based on the replacement cost of your goods, again similar to the way your household contents insurance is valued. Clothing is the only item not insured on a replacement cost basis. You provide us with an estimate of the replacement cost of your goods and the cost is based on a monthly fee of £3 for each £1,000 of insured value up to a value of £5,000. If the value exceeds £5,000 then for every incremental £1,000 of insured value the charge is £1.50 per month. Is there a limit to my insurance? Our policy is limited to £40,000 per customer. However we can extend this with our insurers as required by application in writing. This has been done many times and is not a problem for us.